It happened to a number of my friends, and also happened to me… about three months ago, the Google Page rank of Aussie Pete blog dropped from a very healthy 4/10 to a great big nugget – that is, 0/10!! After much investigation, and some private emails I shared with some contacts within Google, I was told that there was perhaps a ‘glitch’ in the last round of PR updates. I was told not to worry too much, as this should be fixed in the next update. It was also pointed out to me (and quite correctly) that the PR drop would not affect the rankings in searches as a result. I still average more than 400 unique visits a day through Google searches. Having said that, I notice that when I do my own Google searches on keywords that used to always bring traffic in, in some cases I’ve dropped to second page. One thing that became quite clear, is that on the ‘full blog list and categories’ page, there are 22 terms that could be considered dubious (although they are all just the titles of my articles and only link internally). Another ‘perceived’ issue is as a result of ‘page redirects’… I am hosting my blog on ‘blogger’, with the URL – www.aussiepete.com being my main domain (using GoDaddy and Google’s CNAME / DNS settings). This is perceived by the online tools as potential inappropriate redirects – how can this be? To further validate this idea, many people I know who host at Blogger, have purchased domain from GoDaddy and setup custom domain pointing to this on Blogger (using Google’s instructions), have also suffered a loss of page rank to ‘0’ in the PR update round a few months ago. Perhaps my assumptions are incorrect, and the quality of incoming links has caused the page rank drop, but I find this hard to believe, given that among the thousands of links coming in (although there are many duplicates from aggregators and their tags etc), there is still much more juice than other sites for which I’m webmaster – yet these other sites have at least a 2/10 page rank with very few incoming links at all. Also, it is important to point out that the ‘native’ address of the Aussie Pete blog – http://jaimezheng.blogspot.com still has a page rank of 3/10… and there are just a handful of links directly coming in to that address – custom domain was setup almost immediately I created the blogger account. So where to from here…?? The recommendation that everyone gives me, is to submit a ‘request for reconsideration’ from Google… but I’m nervous to do this – I don’t want to attract undue and unnecessary focus from Google on my sites. What if I have not been penalized?? 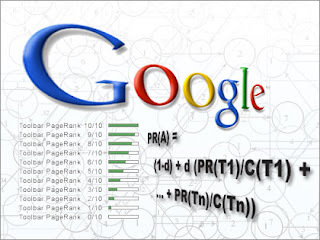 There is no way of confirming one way or the other… furthermore, is the Page Rank that important, given that I still generate traffic from searches?? I feel that PR is often a type of ‘bragging’ feature – and I hate to see my rank as 0, after so much work has gone into many of the articles (around 300). 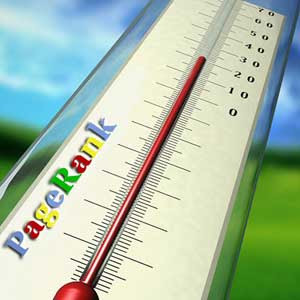 I’m scared that if I raise awareness to Google and I complain about my Page Rank, perhaps I will be further penalized and lose my high rankings in the search engine?? Any other suggestions or recommendations from my readers on the appropriate course of action?? This also happened to my PR of my custom domain. Disappointing. can complain to who? google is bigger than all of us. maybe bing is the right answer. do they also have a page rank tool? Gary - maybe Matt Cutts could answer this. let's all bombard his blog huh? Don't worry about it mate, PR fluctuates all the time. Just Google having a laugh. As you say it is only for bragging rights these days. What happened to the other 2370+ links in Google? ?